While it's important to me and my family to focus on giving back year round, there's something about the holiday season that strengthens that focus. I think it's because we are so incredibly blessed and find ourselves extra happy and thankful during the holidays, it only makes sense to share what we have with those in need. This year, I want to try and impress as much of that spirit that I can on HDawg and his two-year-old little self (let's just be honest, Little Lady June at 9 months old is not going to catch on yet!). First off, I want to make sure H knows that we are blessed. David and I sat down with H and asked him- "what do you want to say thank you for?" We made a "thankful jar" filled with notes about the things we're thankful for this season... he said "my friends" and "Thanksgiving" (which kind of sounds like "ice-giving" in two-year-old speak) which we put in the bucket with some of mine and David's thanks for our faith, our health and, above all, our family. 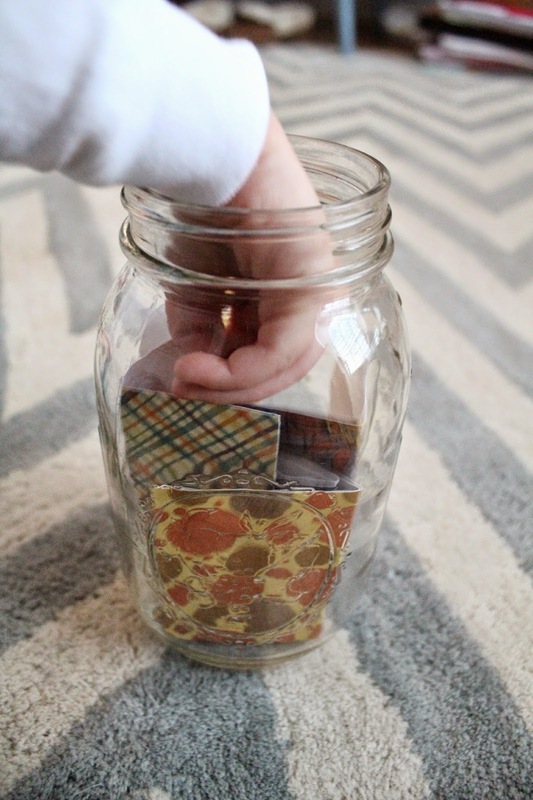 Our little H has been so sweet about reminding us of what we're thankful for and what's in our thankful jar, so I'm so happy we shared this little activity with him. I also want to make sure he starts to grasp the concept of giving back. The kids' school was doing a food drive a few weeks ago for a local organization that supports the elderly. 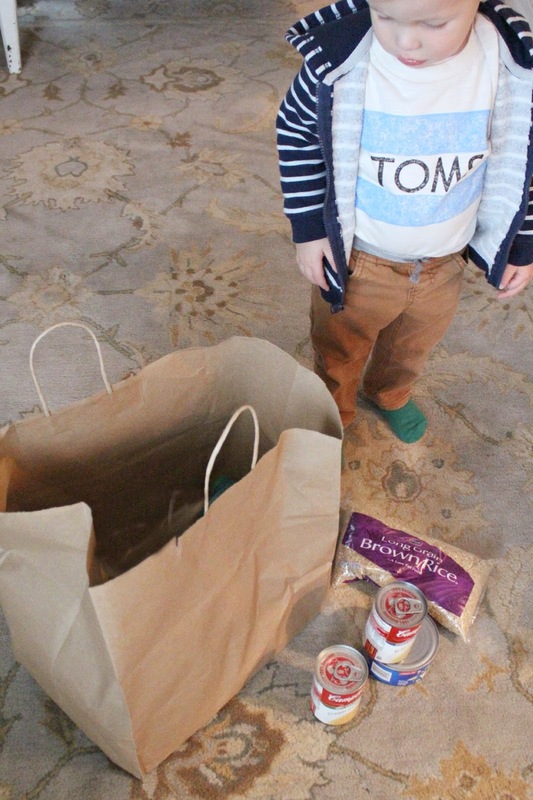 H helped me shop for non-perishable food items. He also helped me load up the items in a bag and drop them off at his school to be delivered to the elderly center. It was clear that he took a lot of pride in donating the food. In fact, he told his teacher "I share my peanut butter with the people!" after we dropped off the items which included jars of peanut butter. That's right, buddy, you did! 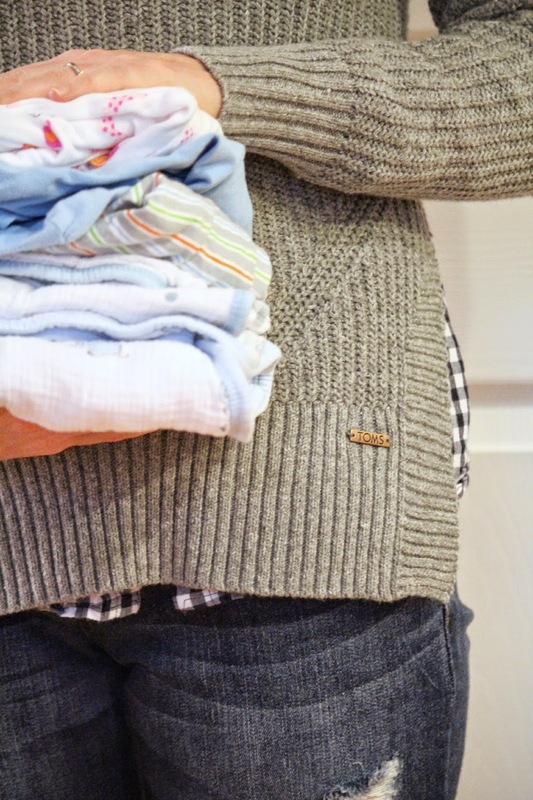 We've also decided as a family to make it a priority to organize and donate some of our gently used clothing. David recently lost some weight (okay... a lot of weight- almost 60 pounds!) and has a bunch of extra clothes that don't fit him. Couple that with all of the baby clothes Little Lady June has already outgrown (Miss Chunk is pretty much in all 12 month clothing!) and we have a lot of extra clothes around our house that we want to pass on to those in need. Over the weekend, I brought out a few baskets and we sat down in front of the fire as a family and folded the clothes to donate. We talked about where they might go and who might wear them. It was a special time, gathered and working together as a family to hopefully help another family. This holiday season, one of my favorite retailers has decided to get in the spirit of giving back, too. Target has teamed up with TOMS with a great line of products that are not only adorable but also make a difference. 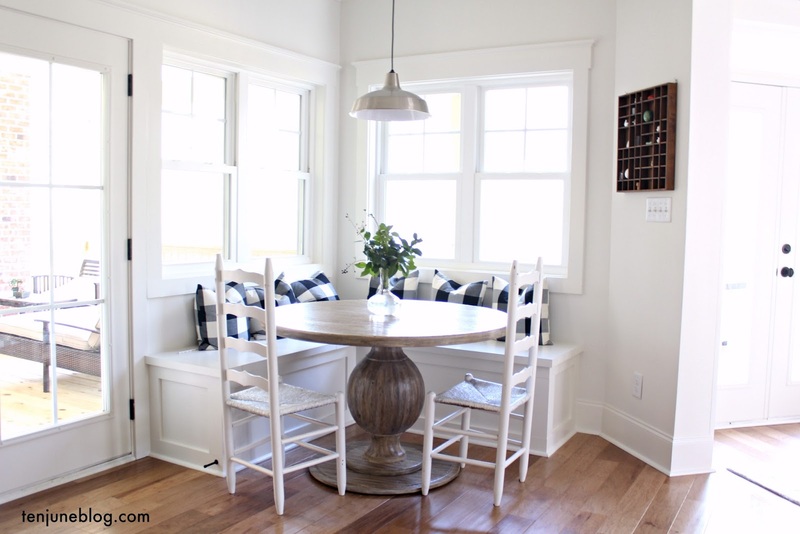 For every item purchased, Target and TOMS are giving blankets, meals or shoes. 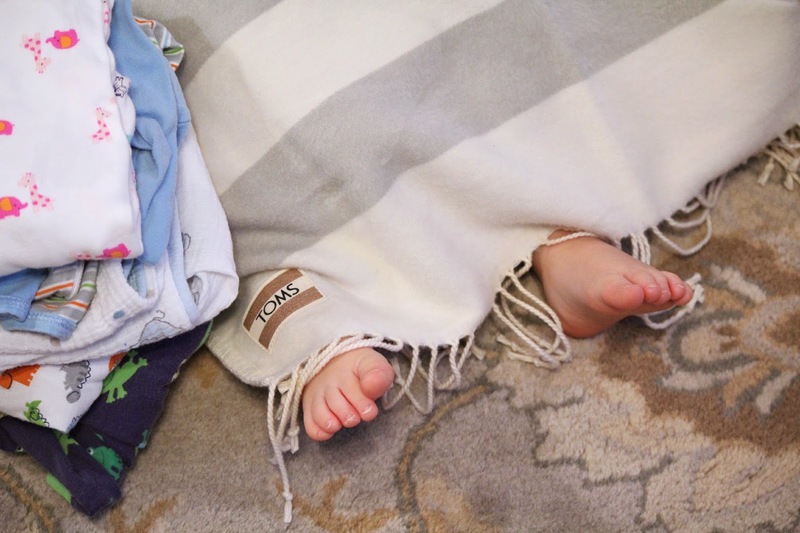 For example, that soft, fuzzy TOMS blanket covering HDawg's sweet little toes while we folded clothes to give away? I purchased that blanket and Target and TOMS will give either a blanket to the American Red Cross or one week of meals to Feeding America. Same with that pretty grey cable knit TOMS sweater- I purchase, Target and TOMS gives a blanket to the ARC. Isn't that awesome? You can check out the Target + TOMS items at your local Target store or online. I'm grateful to Target for partnering up with me to share this great collaboration with all of you. I think it's so important to give back and to share that spirit with our little ones.